All conferences, courses and events listed on this site have relevance to our Members. As part of the arrangement with course organisers we ensure that all Football Medical Association Members receive a discount on events listed below. 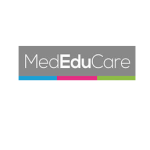 The next meeting in the not-for-profit MedEduCare SEMS Education series will run in London on Friday, 12 April 2019. The programme content and faculty have been developed in conjunction with Dr Nick Peirce, Chief Medical Officer for the English Cricket Board, and our Series Medical Director, Professor Nicola Maffulli. Aimed at those who are most likely to influence change, including senior SEMS and sports legal practitioners, NGB Board Members and IOC and Paralympic performance directors, the meeting will be highly interactive with the potential to be a part of the foundation to build the future of mental health in sport throughout the UK at all levels. Dr Peirce and Professor Maffulli will co-chair this meeting under Chatham House Rules so that views and opinions of all those involved will remain confidential. The meeting aims to reach a consensus and agree on directions moving forward to make sport safe from a mental health aspect. Recognising that each sport has its own culture, how each sporting National Governing Bodies currently provides supportive mental health environments for all athletes to cope with the pressure to perform, will be explored. The meeting is open to a maximum of 60 delegates. Early bird bookings are highly advised at a rate of £160 for the full day on bookings (including refreshments and hot lunch) received by 1 March 2019. Standard rates of £190 will apply from onwards. FSEM UK CPD accreditation application in progress. Professor Nicola Maffulli MD MS PhD FRCS (Orth) FRCP FFSEM is Professor of Musculoskeletal Surgery, Consultant Orthopaedic Surgeon, University of Salerno, Italy and Professor of Sports and Exercise Medicine, Consultant Trauma and Orthopaedic Surgeon, Mile End Hospital. His main clinical interests lie in the management of lower limb sports injuries and in paediatric musculoskeletal sports medicine. Special interests include Anterior Cruciate Ligament and Patellar and Achilles tendons. His main research interests are the histology and biology of overuse tendon injuries and the effects of intensive training in young and older athletes. A florid research programme is under way with international collaborators, focusing on orthopaedic genetics, outcome measures and randomized controlled trials in trauma and orthopaedics, and tissue engineering of tendons. Professor Maffulli has recently been awarded the Fellowship of the Royal College of Physicians. Dr Nicholas Peirce B Med Sci BMBS DRCOG MRCGP FRSIM FRACGP FFSEM is Chief Medical Officer for England and Wales cricket board and has been in post since 2007. He is also an NHS Consultant in Sport and Exercise Medicine at QMC, Nottingham and until recently has been Lead Sports Physician for Nottingham Forest FC. His post NHS has recently moved to the National Centre For SEM East Midlands. He has worked extensively with all aspects of medical care for athletes including 7 years as Lead Physician for the English Institute of Sport at Loughborough University, where he introduced one of the first permanent Athlete clinical psychology clinics, Olympics and Commonwealth Games, as CMO for GB World Class Canoeing Program 1997-2017, Great Britain Rowing, Team GB and for LTA Great Britain Davis Cup team 2001-2007 until moving to cricket full time. He has been heavily involved in various aspects of healthcare development including the lead for Training Programs in the East Midlands, Council member for the Faculty for SEM and SAC and Chair of National Recruitment and Workforce planning for Sport and Exercise Medicine. Other activities include editorial Boards for BJSM and CJSM, ICC Medical Committee and active involvement in research and injury surveillance. Through his work with the ECB he been extensively involved in development of mental health, wellbeing and resilience strategy across the game and embedding clinical psychological services into sport. He currently supervises 6 PhDs at Loughborough, Birmingham and Oxford University looking at injury surveillance, osteoarthritis, biomechanics, spondylolysis, concussion and helmet design as well as research interests in bone development in athletes, metabolic medicine and diabetes and exercise. Dr James Bickley BSc. (Hons) D.Clin.Psy. C.Psychol AFBPsS is a Consultant Clinical Psychologist and co-director of Changing Minds UK. He currently combines a passion for sport with a desire to support others, particularly those at risk of exclusion, in realising their potential and achieving their goals. James has over 20 years’ experience of working with challenging presentations in a broad range of care and performance environments. He has led or developed psychological services in Mental Health, Youth Justice, and Elite Sport settings. In particular, James has specialist knowledge and considerable experience in working with young people who present with high-risk behaviours. Through his work, James has developed an ability to make sense of complex presentations or systems and enable others to work effectively with these challenges through the provision of training, supervision, consultation, or expert opinion. He promotes the importance of developing shared understanding and firmly believes that an effective consultant or practitioner leaves an individual or system in a better place, and with a view that they did it themselves. Dr Sarah Cecil is a Chartered Sports Psychologist and has worked for the English Institute of Sport (EIS) since 2005. She has worked extensively across a wide range of sports across four Olympic cycles including athletics, canoeing, fencing, rugby and shooting. She has worked with Olympic, Paralympics, World and European medallists. Sarah spends part of her week at the Team GB Intensive Rehabilitation Unit at Bisham Abbey where she provides cutting edge psychological support for injured athletes. She has co-written and delivered on the UK Sport Elite Coach Apprentice Programme since 2012. She has mentored and technically developed 10 sport psychologists within the EIS and is currently supervising 5 trainee sport psychologists for their BPS Stage 2. Within her EIS role she provides both formal and informal mentorship to a range of multidisciplinary staff as well as running bespoke programmes on influencing, feedback and performance under pressure. Alongside this she has written an innovative transition program for Help for Heroes. Sarah is the EIS lead on Mental Health and has presented and written internationally on the EIS approach Sarah uses the expertise she has to enable athletes to deliver under pressure and to support coaches and performance staff to fulfil their potential. Mr Chris Chapman BEd (Physical Education, PG Dip (Talent Development) is the Development Lead Officer for Talent and Performance Coaching at UK Coaching, leading on coach development and assisting governing bodies to support their coach development offer for coaches in the talent and performance pathway. Chris’ role is varied from supporting individual coaches, developing a coach developer workforce, delivering programmes and providing systemic and strategic advice to sports on their development of their pathway coaches. Prior to working in coach development Chris worked at the RFL for 12 years, in the Performance Department, as the Performance Youth Coach leading the talent pathway and national age group teams and latterly as the National Player Development Manager leading on a range of projects and programmes including the establishment of the Regional Academies, Apprenticeship Programme and the National Performance Squads. During this time, he coached England age group teams from U15 through to U20; more recently coaching the England Women Rugby League team to two World Cups. Having recently stepped down from the international role Chris remains’ active within rugby league and currently is assisting the Performance Department in the establishment of the new Girls Talent Hub Player Pathway. Before working in sport full-time he worked in Education initially as a PE Teacher, following a pastoral vocation, before becoming a Director of Sport and Assistant Headteacher at a Specialist Sports College. Professor Alan Currie MB ChB MPhil FRCPsych is an NHS Consultant Psychiatrist in the Regional Affective Disorders Service in Newcastle, a lecturer at Newcastle University and a visiting professor at the University of Sunderland in the Department of Sport and Exercise Sciences. His research interests include sport and exercise psychiatry, eating disorders, recovery, social inclusion, mood disorders and movement disorders. He has published in all these areas including co-editing and authoring several chapters in Social Inclusion and Mental Health (2010). He also edited a highly commended handbook of Sports Psychiatry for clinicians in 2016. He is an active member and fellow of the Royal College of Psychiatrists. For 4 years he sat on the executive of the General& Community faculty. Between 2008 and 2014 he was a trustee of a major mental health charity and between 2009 and 2015 was a Governor of his employing Trust. Alan is Chair of the Royal College of Psychiatrists Sports and Exercise Psychiatry Special Interest Group (SEPSIG) and a board member of the International Society for Sport Psychiatry (ISSP). He joined the International Olympic Committee Consensus group on athlete mental health earlier this year. Mr John Donnelly CBE is Head of Integrity, UK Sport has 36 years of military experience, predominantly operational (Northern Ireland, Far East, Balkans, Middle East, Africa and Afghanistan). John conducted training missions to African and South America countries on behalf of FCO. He has significant leadership and command experience, including Leadership of complex change programmes, developing leaders in high hazard environments, communication and influence at executive and national strategic level, strategic HR development and management. Dr Vincent Gouttebarge MSc PhD is a former professional footballer (14 seasons in France and the Netherlands) being nowadays assistant professor at the Amsterdam University Medical Centers (University of Amsterdam, The Netherlands). Vincent is also the Chief Medical Officer of FIFPro, the World Players’ Union representing more than 100,000 current and retired professional footballers worldwide. He works toward the development and implementation of scientific knowledge in order to protect and promote the physical and mental health of professional athletes (especially footballers). Dr Pippa Grange DPsych & APS APHRA (Australia) is a is a Doctor of Applied Psychology, working primarily within elite sport, in the areas of culture, ethics and leadership. Pippa is an author and the Head of People and Team Development of The Football Association. Pippa Grange also utilizes sport as a powerful forum for public conversations about how we live and has been involved in several sport and social justice initiatives including the early development of the respect and responsibility policy within AFL Football and ongoing advocacy for equal rights, anti-homophobia and reconciliation. Pippa is an international keynote speaker on the culture and ethics of sport and supports organisations and leaders in sport to sustain their best performances whilst broadening the definition of sporting success. Dr Damian Hopley is a graduate of St Andrews and Cambridge University, Damian played for Wasps and England, and was part of England’s World Cup-winning 7s team in 1993. He went on to play in 1995 RWC in South Africa and captain the England 7’s team in 1996 before being forced to retire from professional rugby in 1998 due to career ending knee injuries. The lack of support available to professional players at that time motivated Damian to found the RPA later that same year. Building the business from nothing, he has worked tirelessly with the talented RPA team to deliver enhanced player welfare, support, representation and development for the 1,200 current and former professional rugby players. The RPA is now established as a key stakeholder in supporting both female and male professional rugby players in England. Dr Phil Hopley MBBS (Dist) MRCPsych graduated in Medicine with Distinction from St Thomas’ Hospital before training in General Adult and Forensic Psychiatry. He worked as a Consultant Psychiatrist with the NHS for 7 years before founding LPP with Drs Bell & Kruger in 2008. Phil consults in central London and at the Roehampton Priory where he is Deputy Medical Director. Phil has worked in private practice for ten years specialising in stress, mood disorders, anxiety disorders and drug / alcohol problems. His passion is for working with elite athletes and people in sport. Phil is honoured to be leading the LPP team providing on-call Specialist cover to the 10,000 competing athletes at the 2012 London Olympics. He provides consulting to a range of organisations on people performance and psychological health issues. Phil is also nationally recognised as an accomplished expert witness in a wide range of medico-legal areas. Phil played rugby for London Wasps for a decade including 2 years as a semi-professional, representing England Students & the Barbarians along the way. Despite years experimenting, he has found no better way of de-stressing than hitting a small white ball around the green fields of southern England. Professor Pieter Kruger PhD CPsychol AFBPsS is a Professor of clinical psychology specialising in cognitive behavioural psychology and performance excellence. As Director of International Operations, he sets exacting standards of workshop and coaching design and delivery in corporate environments and in elite sport. Pieter is a visiting professor at University College London (UCL) and director of the Institute of Psychology & Wellbeing at North-West University, South Africa. This year he also worked as the Springboks performance psychologist. Dr Brendan Purcell is Director of Performance at British Rowing, leading the world-class high-performance programme and supported by a strong and very experienced senior staff at British Rowing’s national training centre in Caversham, Reading. Brendan works with the extremely talented and dedicated group of athletes, coaches and support staff at Caversham and continuing Great Britain’s legacy of rowing success at the Olympic and Paralympic Games. As an athlete, Purcell competed on the world stage in canoeing for Australia. Off the water, he worked with Australia’s high-performance canoeing and diving programmes before moving to the UK, joining the GB canoe sprint programme prior to the 2008 Olympic Games. He was appointed Head Coach to the canoe sprint team after the Beijing Games, leading the programme through its most successful Olympic cycle. Dr Craig Ranson is Director of Athlete Health at EIS, previously been Programme Director of the Cardiff Met University MSc in Sports and Exercise Medicine, and Physiotherapist with the Wales Rugby Team. For the last 10 years Craig has been a Science and Medicine Consultant to the International Cricket Council and his previous roles include UK Athletics Chief Physiotherapist, and National Lead Physiotherapist to the England and Wales Cricket Board. Dr Andrew Rogers BSc (Hons) DClinPsy CPsychol AFBPsS is a Consultant Clinical & Forensic Psychologist, Associate Fellow of the British Psychological Society (BPS), and co-director of Changing Minds UK. Andrew is currently a visiting lecturer for the Institute of Psychiatry, Psychology and Neuroscience at Kings College London and Past Chair (2012-14) of the BPS DCP Faculty for Children, Young People and Families. He has presented research and clinical interests at both national and international conferences and published in a variety of books and peer-reviewed journals in relation to psychological consultation, clinical psychology and sport, and working psychologically with adolescents with high risk and complex presentations. He provides consultancy services both in the UK and internationally in relation to complex adolescent mental health, looked after children and youth justice services. Andrew has provided psychological support for several CEO’s & high-performance leaders and elite athletes and has worked with a range of sporting and performance organisations in developing client performance, resilience and emotional well-being. In addition to his work in sport and business, Andrew has extensive experience in the NHS, working within and managing services across community, residential, prison, and hospital settings with children, young adults and adults presenting with high risk and complex mental health, behavioural, developmental, and family difficulties. Professor Sir Simon Wessely FMedSci is Professor of psychological medicine at the Institute of Psychiatry, King's College London with research interests in unexplained symptoms and syndromes, such as chronic fatigue syndrome, gulf war syndrome and related issues. His main research at present is a long-term cohort study of the physical and mental health of the British Armed Forces. Professor Tim Woodman PhD CPsychol. has two elite performance research foci. The first concerns how different athletes can differentially maximize performance under stress. The second concerns the development of a model of human motivation that has risk at its core. Tim is an accredited sport psychologist and he has worked with elite sports performers, especially with British Gymnastics. He delivers stress management and consultancy workshops for international business corporations (e.g. Mumm, Stolichnaya) in both French and English. He has recently stepped down as Head of the School of Sport, Health, & Exercise Sciences at Bangor University (2011-2018) to focus on his research in elite sport. At present, he is following up on the Great British Medallists project with a large longitudinal study with UK Sport. Tim loves being active in the mountains and on a squash court and spending time with his young family. Booking forms are available directly from barryghill@hotmail.com or through the website www.mededucare.com where further information is also available.